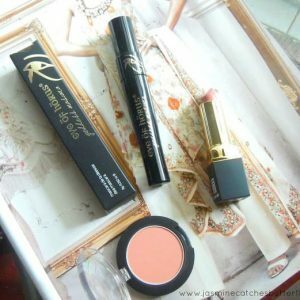 I am still not quite over the amazing releases that The Body Shop came out with last year. 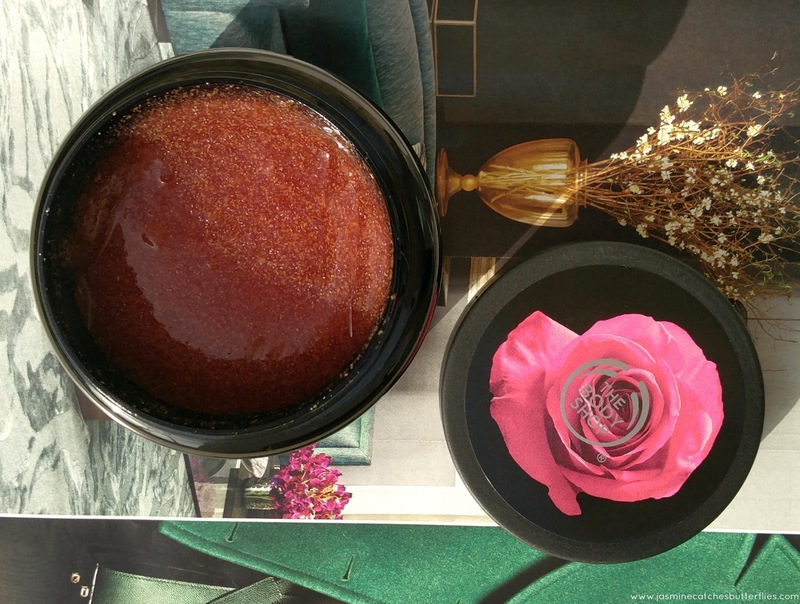 There are one too many ranges that caught my eye but I only managed to grab a few and this exfoliating gel body scrub was one of them from the British Rose range. I am really into skincare be it for face or body so I wanted to try an actual body scrub rather than using a facial one from Freeman or St. Ives on my body as I previously was. I have resorted to a simpler skincare routine now but I bought this scrub last year for Mother’s Day. Honestly, at that time I was still pretty much a gritty scrub gal and this, on the other hand, is a lot gentler because of the gel formulation. So I thought this would be better for my mom as she has pretty soft skin already. Besides, I had never seen a gel body scrub before and it looked so pretty and smelled so lovely that I could not resist getting it. Now, perks of living with your parents include sharing products so yes, I have been using this too. The first thing that attracted me about this range was the packaging as I am sure anybody who has fancied “gothic” aesthetics in recent teenage years would be a fan of the combination of black and pink. Anyways, The Body Shop has made it look quite classy and mature. The scent of the range is so good that you need to take a whiff for yourself. With roses, it is usually the case that the scent is thought to be old-school and fit for elderly but this scrub with British Rose essence is not at all outdated. In fact, it is fresh and elegant. Also, I love how the scent lingers on my skin and hence would like to pick some other products from the range like body butter and eau de toilette to build up the scent so that it stays on me all day long. So the concept of a gel scrub is quite intriguing to me but it is just supposed to be a lot more gentle than other scrubs like the granulated sugar, salt or coffee type of scrubs, as well as creamy scrubs with crushed nuts etc. The Body Shop does offer a variety of cream-based scrubs too but this is something new that they came up with. 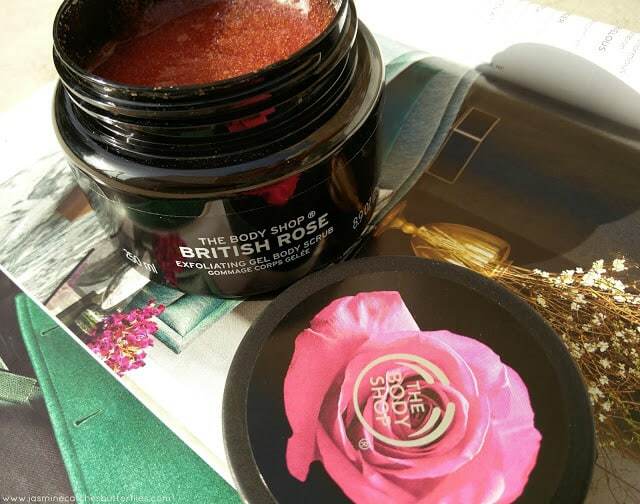 So, I reckon that the British Rose Exfoliating Gel Body Scrub contains dried and crushed rose petals which are quite small in size and loosely dispersed. Therefore, it is not suitable between shaves or waxes as I would prefer a gritty one for ingrowths. 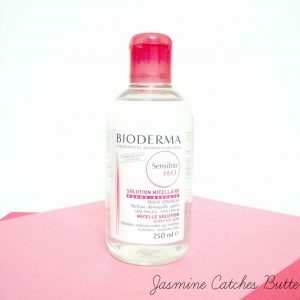 However, this can be ideal for regular use or for sensitive skin. I like how it makes my skin soft and smooth after a wash. 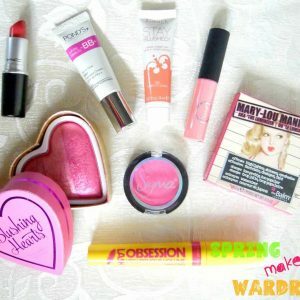 Though at 3520 PKR for 250 ml I do find it pricey for something to be used on an everyday basis. I would class it as more of a luxury product and would perhaps only purchase during the sale season. Gel products can be a pain to wash off sometimes, but luckily this gel scrub is not too thick in consistency and is easy to wash too. Also, it does appear to be red in the container but I don’t think that the gel itself is tinted and instead the shade is due to the presence of real rose petals. It is safe for me to say that The Body Shop British Rose range is my favourite so far when it comes to fragrance and I am now looking forward to another one of their sales.